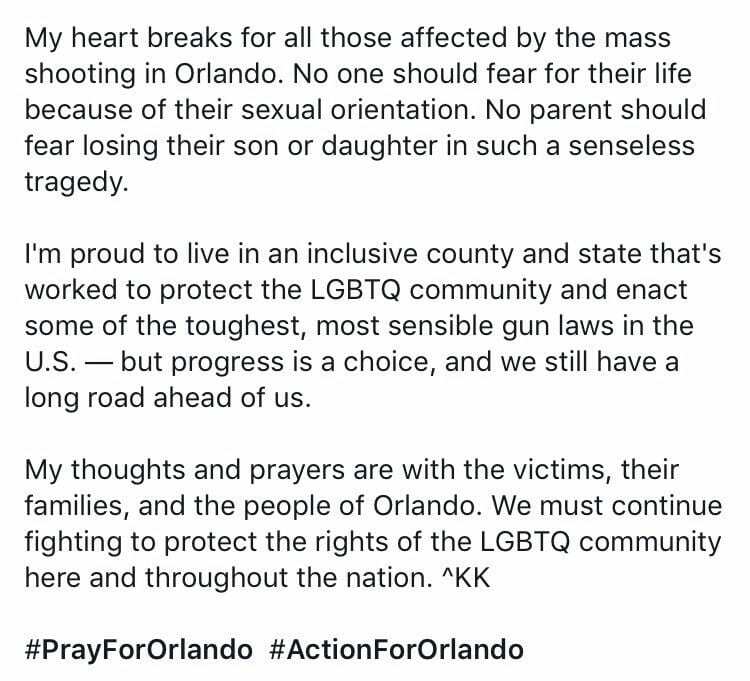 Baltimore County Executive Kevin Kamenetz and Governor Larry Hogan have each issued statements on the weekend shooting in Orlando, Florida. The massacre left at least 50 people dead and is the deadliest mass shooting in U.S. history. The gunman, Omar Mateen, reportedly called 911 and swore allegiance to ISIS before opening fire in a gay club early Sunday morning. “The First Lady and I are shocked and saddened by the senseless violence this morning at a nightclub in Orlando. We offer our most sincere condolences to the family and friends of the innocent victims of this act of terror, and our deepest gratitude to the first responders and law enforcement who responded to this tragedy with bravery and courage. Governor Hogan has ordered flags to fly at half-staff in honor of the innocent lives lost in this tragedy.